The everyday things populating the archaeological record secure much of their power from their familiarity—personal trinkets like eyeglasses and jewelry, food, and bodily remains themselves narrate humanizing stories, but those sympathetic and even uplifting human experiences are simultaneously complicated by sober realities. Scholars often champion narratives that aspire to define the concrete realities of human adversity if not despair, often with an ambition to examine the lingering effects of historical trauma. Archaeology in particular has gradually shifted its focus from material description toward “dark” histories of enslavement, racism, warfare, sexism, and violence that perhaps strike some observers as a rather bleak picture of everyday life across time and into the present. Human tragedies and adversities materialized in things often spark emotional responses that archaeologists aim to channel into reflective discussion. This may come as a surprise to observers who fantasize archaeology as a dispassionate empirical description of the distant past that has no substantive connection to contemporary life, and some people inevitably will find history’s trail of horrors profoundly disconcerting if not an ideological distortion of a more-or-less placid human experience. Shoes confiscated from prisoners at Majdanek. Since historical narratives can be unsettling, academics and museum scholars often caution students and visitors that some scholarly data may be personally distressing. Such practices alerting an audience to emotionally challenging material are sometimes dubbed “trigger warnings,” a darling target for a host of anti-intellectual populists. This week University College-London archaeologist Gabriel Moshenska became the latest scholar to be lampooned over his precaution that students in his Archaeologies of Modern Conflict course should recognize the material may be troubling. Moshenska’s express concern was for military veterans, but predictably shallow media observers with no grasp of archaeology used the course’s caution to launch an attack on a generation of “soft” students and over-indulgent professors. 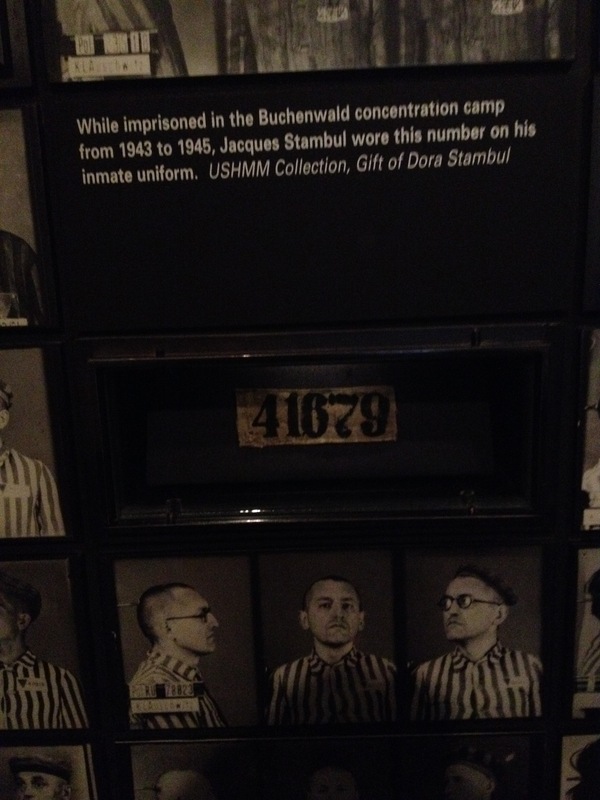 In the midst of the Holocaust Museum’s prosaic material objects are the things defining subjects like Jacques Stambul, who was imprisoned in Buchenwald. 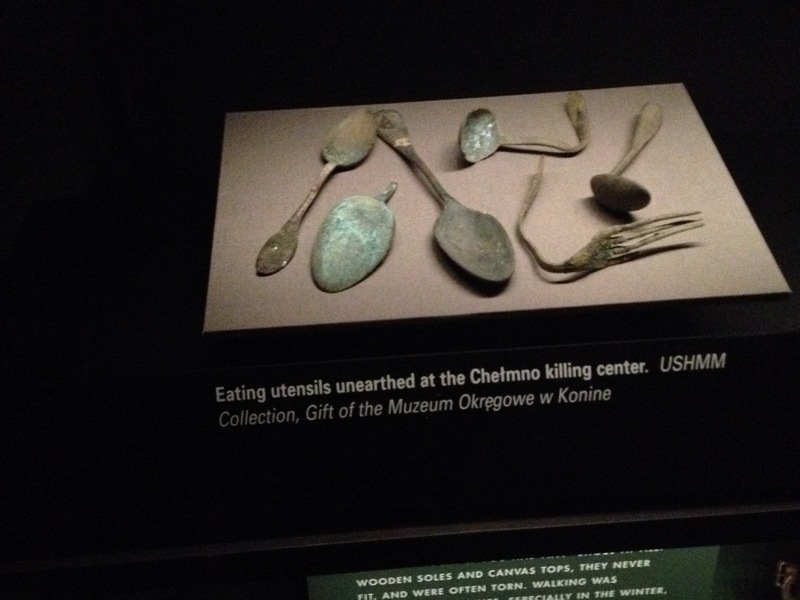 What is underscored by Moshenska’s research and broader conflict archaeology is the profound emotional power of things and archaeological narratives. Alix Mortimer defended Moshenska by arguing that “If you’re not slightly freaked out by conflict archaeology, there’s something wrong with you.” Mortimer emphasizes that much of Moshenska’s scholarship focuses on human remains and historical events from the 20th and 21st centuries, and in some ways those most recent pasts are more likely to feel unsettling than more distant violence like the murder of Ötzi. Carl Drexler’s defense focuses on Moshenska’s own commitment to the scores of veterans in many university classrooms who certainly can stake a substantial claim to post-traumatic stress. Acknowledging such experiences frames course cautions as simple human decency that does not set aside academic rigor but does recognize that we all experience heritage in a vast range of ways. In 2015 philosophy Professor Kate Manne agreed that course cautions are expressions of consideration for students that enable rational engagement. Suggesting that course cautions constrain critical discourse and yield a generation of spineless students ignores the profound power of well-told historical narratives, and it certainly underestimates the emotional power of material things. That sway of things is what attracts most archaeologists to the discipline, and archaeologists’ widespread commitment to illuminating untold and often challenging historical experiences unites them with visitors to places like the Holocaust Memorial Museum. 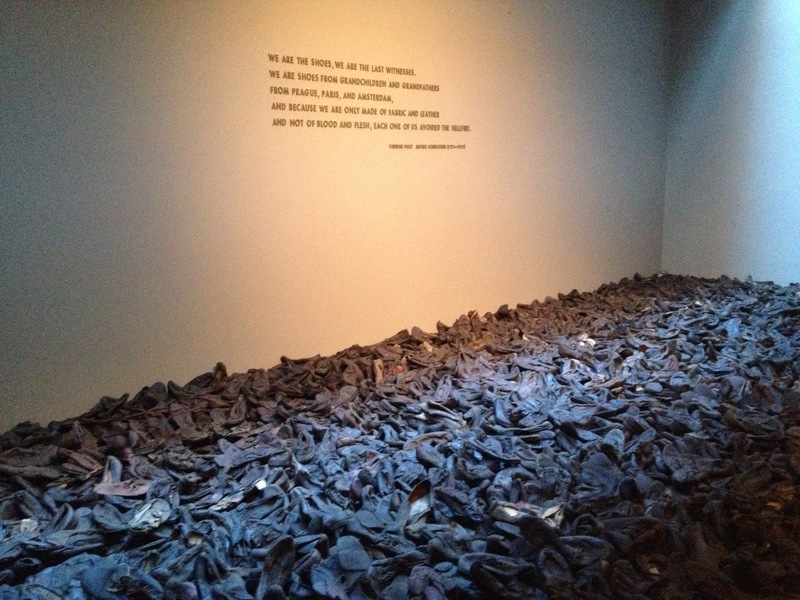 Those places aspire to fashion reflective discussions about histories that some people may find unpleasant, and it seems perfectly defensible that even thoughtful scholars and well-prepared visitors would find a visit to Auschwitz or an encounter with the remains of murder victims emotionally unsettling. Indeed, as Alix Mortimer argues, it would be alarming to find scholars who are not moved by their scholarship, especially archaeologists working with contentious narratives and the material traces of tragedy. It might be even more alarming to find archaeologists and professors who have no regard for their students’ experiences. 2013 The United States Holocaust Memorial Museum’s Multivalent Tower of Faces. Master’s Thesis, Virginia Commonwealth University. 2015 Ethics and the Archaeology of Violence. Springer, New York. 2015 Spaces for Children: School Gas Chambers and Air Raid Shelters in Second World War Britain. In Reanimating Industrial Spaces, edited by Hilary Orange, pp. 127-137. Left Coast Press, Walnut Creek, California. 2014 Children in ruins: bombsites as playgrounds in Second World War Britain. In Ruin Memories: Materiality, Aesthetics and the Archaeology of the Recent Past, edited by Þora Pétursdóttir and Bjornar Olsen, pp. 230-249. Routledge, Abingdon UK. 2013 “Token scraps of men”: white lies, weighted coffins, and Second World War air-crash casualties. In Bodies in Conflict: Corporeality, Materiality and Transformation, edited by Paul Cornish and Nicholas Saunders, pp. 133-142). Routledge, Abingdon UK. 2013 Conflict. In The Oxford Handbook of the Archaeology of the Contemporary World, edited by Angela Piccini, Rodney Harrison, and Paul Graves-Brown, pp. 351-363. Oxford University Press, Oxford UK. 2011 Archaeologies of Internment. Springer, New York. 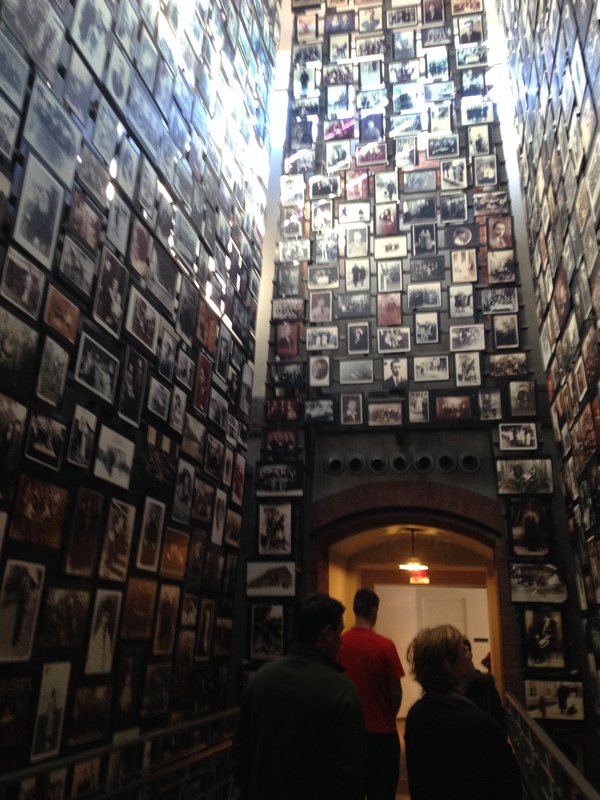 2015 Reframing Holocaust Testimony. Indiana University Press, Bloomington. Posted on September 30, 2016, in Uncategorized and tagged conflict archaeology, Holocaust Memorial Museum, trauma. Bookmark the permalink. 2 Comments. This reminds me of George Carlin bit about war. Shell shock, WWI. Battlefield Fatigue. WWII. Post traumatic Syndrome. Current. Language has become more descriptive and along softer. I find it funny and sad that the language learned in a family setting never gets mentioned. Helicopter Moms. Gated communities. Suburbs vs city center diversity. All breed a culture of fearing the other. But more importantly the ability to listen/learn/consider a differing reality of the same historical event. Finally. All school textbooks are products of the Ultra Conservative Texas School Book Commission. The narrative is framed before college. Not at the very diverse Universities. It’s called Culture Shock.